Hi everyone! We have had a very exciting week here at the Smoothie Vegetarians headquarters! Not only do we have a few very exciting things we are working on for you guys, we also added two new faces to our team of writers! If you are interested in learning more about them, click on about us and everyone has a little section about them! Today's post is a yummy treat! Avocado pudding can sound a little off-putting at first. For me, I always say avocado as a savory food and it would stress me out a bit when someone put it in a sweet dish. Since then I have learned so much about avocados and food. I now have avocado with sweet foods every few days between smoothies, popsicles, and vegan pudding! If you have never tried it, I really suggest you do! 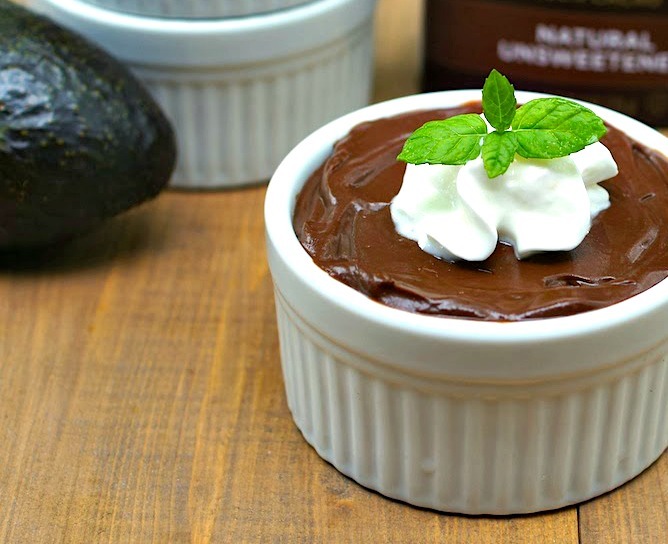 Avocado gives everything it is added to this delicious smoothness and the fattiness makes desserts have that rich texture we are used to! My inspiration for this recipe was my Step-Grandmothers chocolate mouse. It was one of my favorite dishes before becoming a Vegan. On of the things I have done to help me stay on the Vegan path is making Vegan versions of all of my favorite dishes. That way when I was craving one of those dishes I could whip up a cruelty-free version! This recipe will not sit very well in the refrigerator, you would not want to leave it in there for longer than 48 hours. That will be no issue at all because this is so delicious! If you want to add something extra to this, try adding fresh berries or topping with vegan whipped cream. No matter how you eat this wonderful treat, it will be delicious! I adore this chocolate mousse and make it often. Yours looks very inviting too. I make something similar to this quite often - it's so good! I might make yours tonight!